With time, the supporting connective tissue in our skin becomes fragmented and our skin-tone becomes lax and saggy. Non-invasive treatments have the ability to tighten these strands of collagen and stimulate the production of new and stronger collagen fibers. At the Asarch Center for Dermatology, we use Ultherapy as it is extremely effective to lift and tone the face and neck area. With no downtime and results often achieved in a single session, Ultherapy is the perfect treatment to combat the loss of elasticity in your skin. 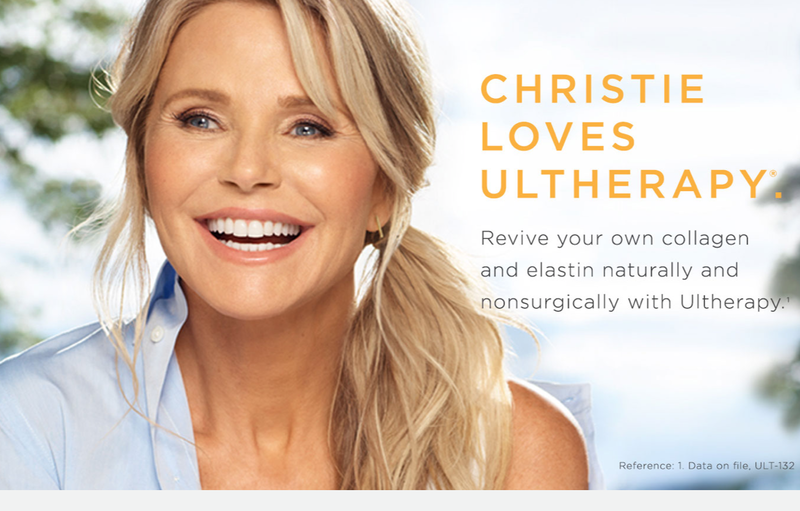 Ultherapy is the only non-invasive, FDA-approved procedure to tighten and lift skin on the neck and under the chin. Ultherapy uses ultrasound waves, called Ulthera, for cosmetic improvement of the skin. Ultherapy works deep below the surface, without harming the outer layer of skin, for firming, tightening and lifting. In November 2012, the Ulthera® system received FDA approval to non-invasively lift lax tissue on the neck and the beneath the chin. How does Ultherapy stimulate the creation of collagen? Collagen is a natural protein that gives skin its youthfulness by keeping it firmed and toned. As we age, collagen loses its strength and its ability to stand up to the effects of gravity that pull the skin downward. Ultherapy uses focused ultrasound to generate a thermal effect under the skin. The thermal effect essentially jumpstarts a repair process that strengthens existing collagen and produces fresh, new collagen. Ultherapy treatments are done in our office and take between 30 and 90 minutes depending on which areas are treated. The procedure is tolerated differently depending on the individual, with only minimal discomfort reported by most. Our providers will review expectations prior to your treatment. What Results Can I Expect After Ultherapy? Improvements in your skin will continue in the months following your treatment, with the full benefit visible after 6 months. This includes tighter skin on the neck and under the chin with a sleeker, more defined jawline. Sagging skin on the cheeks may be tightened and lifted, which in turn decreases the folds from the nose to mouth, folds from the mouth to jaw, and drooping corners of the mouth. Tightening of skin on the forehead helps reduce sagging and lax skin on the eyelids, and helps lift the brows to promote a more open, refreshed look in general. Additional benefits also include overall improvements in skin texture and evenness of color — as well as strengthening the structure of your skin by adding more collagen cushion. The majority of patients only need one treatment; however, some may benefit from more than one treatment. This depends on how much laxity they have and their body’s own biological response to the ultrasound and the collagen-building process. 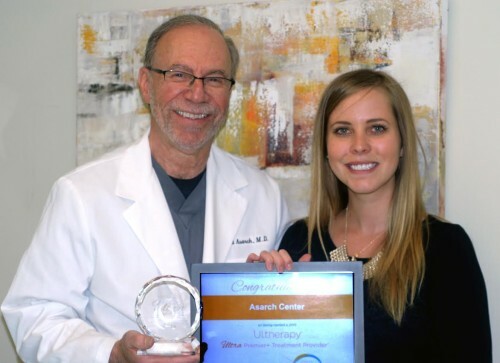 “I have been a patient of the Asarch Center for many years. I have been to both the dermatology practice and medical spa. Every time I am there I am treated like a rock star. I tell my friends to come here for the best doctors and most friendly staff. They have helped make my skin look amazing!” – Sione S.
If you are interested in skin tightening with Ultherapy, contact Asarch Center for Dermatology, Laser & Mohs Surgery. Call us at 303-761-7797 to schedule a consultation at your nearest location. Our practice serves Englewood, Lakewood, Castle Rock, and surrounding areas.